» What needs to change to solve the grid integration challenge? What needs to change to solve the grid integration challenge? In terms of grid integration, Europe’s agreed renewables target of 32% by 2030 raises significant challenges. Delivering a clean economy for all Europeans means being bold in ambition but also being efficient in new practises. 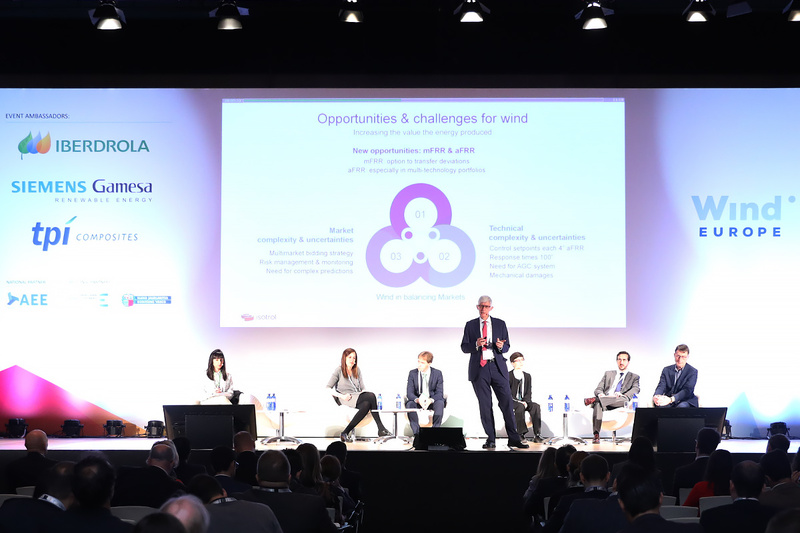 Described by many as the ‘next frontier’ in wind energy, grid integration will form an integral part of the energy transition, and was a major point of focus on Day Two of the WindEurope 2019 Conference & Exhibition in Bilbao. Delegates took Spain as a jumping off point for discussion: as a result of the last auctions, 8 GW of renewables capacity are being added to the Spanish energy system. Considering the long lead times in Spain for commissioning new lines, TSOs need to find alternatives to burying copper in the ground. Possible solutions can be found in technology, regulation, and better cooperation. Technologies like dynamic line rating and digitalisation can help to make better use of existing infrastructure. In some countries, it is not possible to monitor wind and solar PV feed-in; digitalisation will prove critical to improving grid observability. The sharing of more operational data requires upgrades to network infrastructure. This necessitates the standardisation of communication protocols. Delegates pointed to Spain and Ireland as examples whereby control rooms specific to renewable generation have been developed. Regulatory frameworks should also evolve to facilitate their deployment. There needs to be more cooperation between distribution and transmission system operators. Co-planning of generation and grid expansion will be essential to avoid grid bottlenecks and delays in grid connections. Discussion also focused on ancillary services. Implementing market mechanisms for procuring services is essential if we want wind farms to further contribute to grid stability. In most cases, the technical capabilities are already there. But with a higher penetration rate, a new generation of services needs to be developed to cope with new system needs e.g. fast frequency response, synthetic inertia. Participants also discussed whether revenues streams from the provision of these services would be sufficient to make up the gap in a future where negative or low market prices occur more often. Most agreed that storage and demand response would ensure that this expected drop in market prices is less important. Finally, participants insisted on the need for more transparency – i.e. data sharing – and the need to further involve citizens. This means education to win hearts and minds on decarbonisation, but also to encourage demand-response.